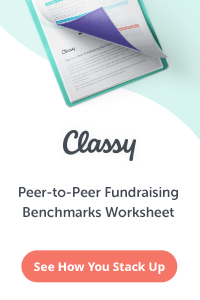 Every non-profit needs to fundraise. That means every non-profit needs to hire someone to do the fundraising. We call those people who actually meet with donors, shake hands, do fundraising calls and make asks “frontline fundraisers.” Every non-profit has at least one. At large organizations, there may be a team of frontline fundraisers, all reporting to a Development Director who may be a frontline fundraiser, or who may concentrate on strategy. At mid-sized organizations, the Development Director may be the only frontline fundraiser, or she may be one of several. At small organizations, the frontline fundraiser is often the Executive Director, who handles fundraising along with everything else that’s on his plate. 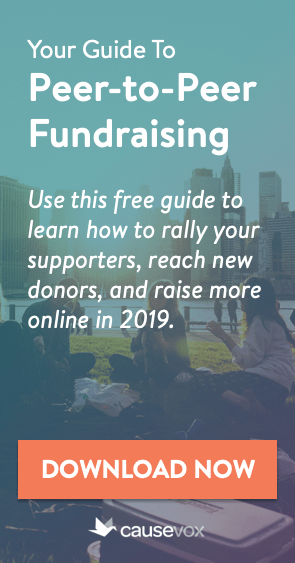 Of course, at many non-profits, board members and volunteers may also serve as frontline fundraisers, but for the vast majority of organizations, there is at least one person on staff who has frontline fundraising as a primary responsibility. Hiring the right frontline fundraiser(s) for your non-profit can literally make or break your development program. Yet, so many organizations have no idea how to find a great fundraiser for their team. Instead, they look at “help wanted” posts on The Chronicle of Philanthropy and try to duplicate the requirements. Today, I want to discuss in detail how your non-profit can find – and hire – great frontline fundraisers for your team. The first thing we need to talk about is experience. So many non-profits post fundraising jobs and ask for a minimum of 2, 3, 5 or 10 years of non-profit fundraising experience. Before you do that, I want you to really think it through. Do you need to hire someone with that much non-profit experience in order to have them be a great frontline fundraiser at your organization? 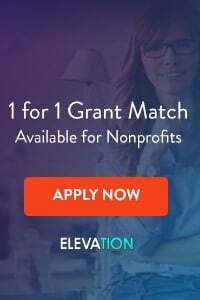 I have been in the trenches of fundraising hiring, both hiring for positions when I was on staff with organizations as well as advising non-profits as a consultant. And I can tell you that some of the best fundraising hires I have made had absolutely no fundraising experience. Sounds crazy, but it is true. Let me ask you this… do you consider sales experience when hiring a frontline fundraiser? In many ways, sales and frontline fundraising are very similar. People who have been successful in face-to-face sales need to know how to tell a story and make an ask, and it is highly likely that someone with 5 years sales experience has done 10 times as many cultivation or ask meetings as a non-profit fundraiser a similar amount of experience. Want another industry outside of the non-profit world where you might want to look? What about political fundraising? Many professional political fundraisers are asked to raise six or seven figures per year for a campaign through frontline tactics, all with the pressure of Election Day just around the corner. Think you feel pressure when your big event is only 4 weeks away? Try knowing that you need to raise another $100,000 in 3 weeks or else your candidate has no chance of being elected Governor of California or Mayor of New York City. I’m not saying that previous fundraising experience isn’t beneficial for your non-profit. I’m just saying that you want to make sure that the person you are hiring has the right kind of experience. If you are hiring a frontline fundraiser, you want someone with frontline experience. If I am hiring a major gift officer, in many cases I would rather hire someone with 3 years of experience doing direct insurance sales than someone with 5 years’ experience in grant writing. Fundraising is all about building relationships, and much of what we do to build those relationships is tell stories – about ourselves, our organizations, and the people we serve. Great frontline fundraisers need to be great storytellers. The next time you are interviewing, consider asking the applicants to tell you some stories about themselves, the things they are interested in, their previous work, etc. Pay close attention to how compelling and engaging they when they are relating these stories to you. Nothing spells trouble for a fundraising program more than fundraisers who have trouble making asks. Frontline fundraisers should expect to be making asks every week, if not every day. 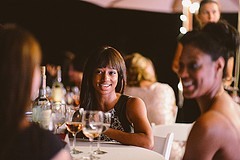 In your interviews, have your interviewees run through some asks with you. Everyone has a different asking style, but no one on your team should feel nervous or anxious about running through this type of exercise with you. Details about your programs, the problems you solve, your clients and your work can all be learned, but a basic passion for your mission area is key to fundraising success. As noted above, experience in non-profit fundraising isn’t the most important qualification for a frontline fundraiser. That being said, a track record of successful fundraising or sales is a good indicator of future success in fundraising. The frontline fundraisers you hire for your team should be people who can think on their feet and make small decisions without needing to call the office every 10 minutes. You shouldn’t have to worry about printing out directions to prospect meetings for your fundraisers or explaining to them that they should assume there will be traffic and leave a little early. Your fundraisers should be professional people who can handle things on their own, at least within reason. Frontline fundraisers are the main contact your donors will have with your organization. Be sure that the people you hire reflect well on your non-profit. Does your non-profit want to be the next Ice-Bucket Challenge? Believe it or not, every non-profit can run a successful viral fundraising campaign in their own community. The webinar is next week… and registration closes on Friday. So don’t miss out! Next post: Are You Using the Hierarchy of Fundraising Asks?